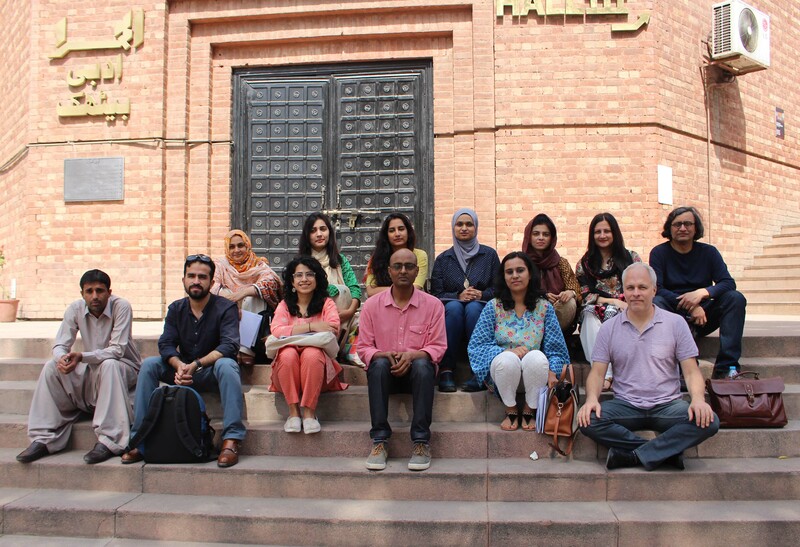 As part of the Training and Exchange of Junior Faculty in Pakistan Project, this grant supported the travel of four U.S. scholars to Lahore, Pakistan – Iftikhar Dadi (organizer), Esra Akcan, TJ Demos and Sonal Khullar – to host three workshops and a series of lectures at the first Lahore Biennale. This event, which was free and open to the public, took place from March 18-31, 2018 and created a space for the U.S. scholars to share with and train Pakistani scholars/professionals on the topics of art writing and curating, an aspect of the Pakistani art scene that is still being developed, as well as help foster a community of scholars and practitioners with related interests. These three workshops took place over two weeks, and each had a contact time of six to eight hours. 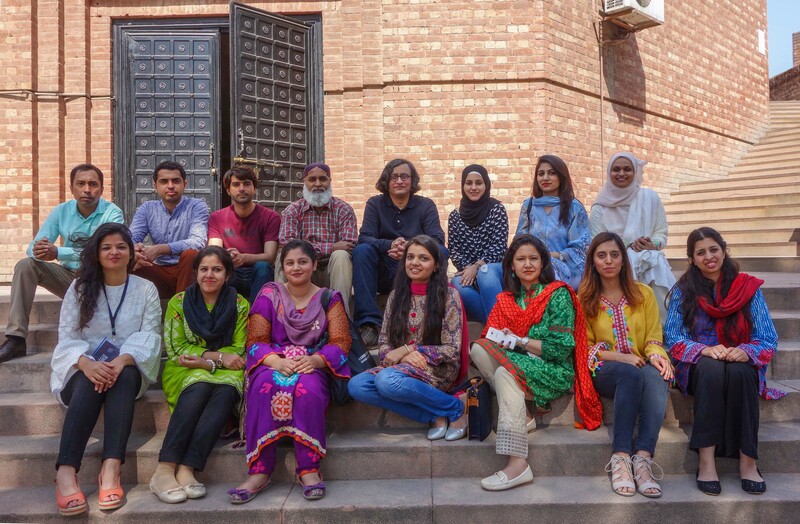 They were designed to help address the gaps in the Pakistani art scene (of writing and curating) and the need for further development of artistic communities and practitioners. The workshops also focused on ways to make these topics relevant to local audiences. The workshop explored the ambiguities and anxieties of art criticism, as well as the clinical practice of producing sharp and accessible texts embedded within the current moment. First, using diverse stories from different genres, the participants looked at the untidiness and precision of writing, and discussed the task of transforming ‘the unknown into the known.’ Secondly, they explored the balance between the qualities of journalism and the rigor of art history, and discussed key works produced by some of today’s most compelling art critics. This seminar workshop investigated recent claims that we have entered a new geological era where Earth’s geophysical processes are newly driven by human activities. It considered a range of positions on questions like, “What are the assumptions of the Anthropocene thesis, what ideological work does it accomplish, and whose interests does it serve?” and discussed artistic approaches to the biopolitics and geontologies of the post-Holocene era, decolonial Anthropocene practices, and more. This workshop explored the term “opacity” and the relations between opacity, collectivism and art. Opacity refers to the possibility of every individual claiming a plural and mutable identity, an essential condition for a new sense of collectivism to emerge. History is constituted of a myriad of episodes and movements of cultural and socio-political solidarity towards utopias. In restoring the premises of these practices of cultural and socio-political solidarity, how can we engage with their values and ethics without falling into nostalgia? How can we construct new forms of collective work? What is the role of art, its agents, and its institutions? In addition to hosting the above workshops, AIPS fully and co-sponsored a series of academic engagements (lectures, discussions, academic forums, etc.). Iftikhar Dadi – Associate Professor of History of Art at Cornell University and program organizer. Esra Akcan – Director of the Cornell Institute for European Studies and Associate Professor in the Department of Architecture at Cornell University. T.J. Demos – Professor in the Department of the History of Art and Visual Culture, University of California, Santa Cruz, and Director of its Center for creative Ecologies.